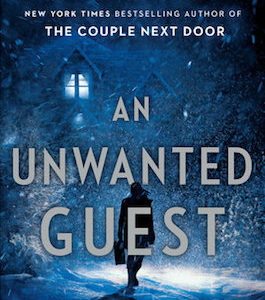 The best crime fiction has a strong sense of place and is able to not only tell a surprising whodunnit, but can also transport the reader to parts unknown, leading them through the dark corners of locales previously only seen through the lens of a tourist, if at all. Whether set in a complex, sordid metropolis or on the fringes of rural America, crime fiction—at its best—sheds a light on the harsh realities of the world, wallowing in the gray areas of life and the people that populate the space between. Journalist and crime writer Sebastian Rotella’s third novel featuring former U.S. Border Patrol agent Valentine Pescatore, Rip Crew, is not only a tense page-turner, it also goes beyond the confines of the United States to unravel a haunting mystery that feels both cosmopolitan and surprisingly local in its ingredients. Rotella’s knack for hard-hitting fiction, no doubt a byproduct of his sterling journalistic credentials, makes him an ideal funnel for these stories of crime on the fringe of the country. My own Pete Fernandez novels, set in Miami, a city that is very much a gateway to Latin America, often deal with the two worlds that occupy spaces so close to our nation’s borders. I first met Sebastian in 2014, at that year’s Bouchercon in Long Beach, CA. He was in conversation with superstar writer Michael Connelly. They befriended each other during their respective stints at The Los Angeles Times. I was struck by Sebastian’s incisive mind and his ability to extrapolate the truths of the world and forge them into a mesmerizing fictional narrative. Like my work, Sebastian strives to present the harsh truths of the world and the people in it through a fictional lens. If done well, that makes for stories that feel all-too real and resonate in meaningful and lasting ways. And believe me, Sebastian Rotella does this very, very well. It was a pleasure to sit with him a bit and discuss our work, similarities and methods. Alex Segura: I really loved Rip Crew—it felt so timely and loaded. Can you talk a bit about the book and what spurred you to write it? Sebastian Rotella: Alex, it’s a pleasure. I really enjoyed Dangerous Ends, which left me with a yearning to go prowl around Miami and eat at La Carreta, Versailles and other classic spots. Although we write about different territory, I think there are strong parallels between our books. As you know, the genesis of a story can be mysterious. One seed of this book is a reporting trip I did to the border of Mexico with Guatemala a few years ago. I spent time exploring the region and talking to migrants and U.S. and Mexican security officials. Twenty-five years after I first covered the northern Mexican border, the southern Mexican border is the new front line. Contrary to what you hear from politicians and the media, illegal immigration to the United States from Mexico is down near zero. Most migrants bound for the US are Central Americans. I talked to some of them at a detention center along with Cubans, South Americans and Africans. I met an Eritrean woman and her son who had traveled four years via Sudan, South Africa and Brazil en route to Chicago before their arrest. The boy was stateless because he was born during the journey. The stories I heard about the cruelty of the smugglers and criminals were among the worst I’ve ever heard. I decided my next book would explore these desperate diasporas. 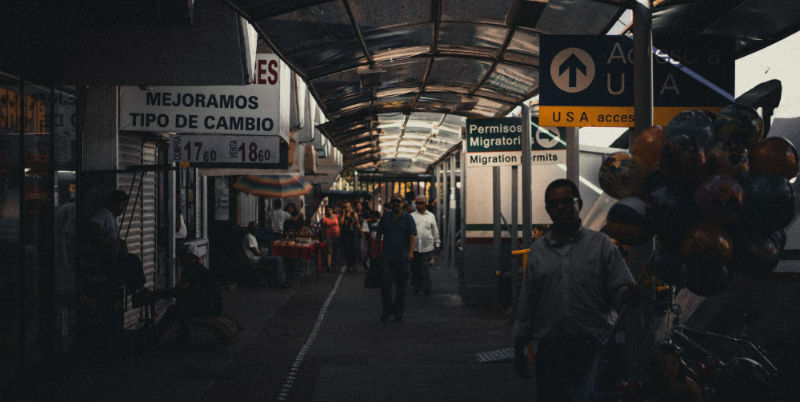 The global smuggling underworld connects places such as the Mexican border and Lampedusa, the Italian island that is a destination for smuggling boats from Libya. It connects southern California to the southern Italian towns where African migrants live on the turf of the Neapolitan mafia. Another theme in the book is the blurring of organized crime and the “legitimate” economy. As a journalist and novelist, I write a lot about foreign bad guys: gangsters, spies, terrorists. In places like Latin America or Russia, people literally get away with murder. The system guarantees impunity, “la impunidad,” for the powerful. The rule of law is stronger in the United States, and we should be proud of that. But as I developed the story, I thought about the U.S. versions of impunity. The fact that nobody important went to prison for the 2008 financial crisis. The decline in white-collar prosecutions by the Justice Department. The banks and real estate firms that launder money, the corporations that engage in bribery. Not to mention the mistreatment of working people, especially immigrants. As has become clear recently, abuse of women by powerful men is another area of impunity in our country. Migrant women are especially vulnerable. Sometimes, the U.S. economic elite act more like rip crews than we’d like to think. That’s not a question of ideology, but of justice. Finally, the book is about crusaders who fight mafias and corruption. I’m fascinated with people like that: police, prosecutors, journalists. Not just their exploits, but the mindset. The resilience that enables them to live in a cocoon of bodyguards, armor-plated vehicles and fortifications, to endure so much menace and solitude. I know people like that, and Mendez and other characters are based on them. Now a question for you. The world of your fiction is bilingual and bicultural, like mine. I have spent time in Miami reporting Latin American issues. The great Mario Vargas Llosa once told me he thought Miami’s cultural mix embodied the future of humanity. Most of the characters in Dangerous Ends are “Americanized,” but the shadows of the past—like the pro-Castro gang Los Enfermos—shape their lives. How do you go about depicting and explaining the reality of Miami? Do you find yourself (like I sometimes do) working to convey in English the essence of certain concepts from Spanish? What role do that landscape and culture play as driving forces in your work? Segura: I love what you said about trying to convey in English the essence of something purely Spanish, because I find that I stumble over that a lot, especially with traditions or just behaviors and perspectives. I was raised in a Cuban-American home, with the spectre of Cuba looming over us every day—we heard about it on the radio, we saw footage from it on TV, few moments went by without a family member talking about the shift from Cuba to Miami, and all that was left behind. It was a wound that never healed, or never seemed like it would. As a people, I think, if I can speak generally, Cubans are proud, honorable and have a long memory. I remember vividly walking into my grandparents’ house one afternoon, fresh from elementary school, a Kennedy biography in hand. I waved it at my grandfather proudly —look, I’m reading a big book!—and he shot it down immediately. There was no room in his world view for that, because in his eyes, and in the eyes of many Cubans from his generation, Kennedy betrayed the potential Cuban liberators of the Bay of Pigs invasion. It was a jarring lesson to learn, that no matter what American history I digested or engaged with, it would always have to run through the filter of my family’s experience and the Cuban one, too. This is a long-winded way of getting to your question: with Dangerous Ends in particular, I wanted to showcase, through the tropes and prism of a mystery novel, this unique point of view—that of the Cubans in exile, and how they perceive not only things happening in or around Cuba, but around the world. While the country celebrated, for example, Obama’s trip to Havana, as a sign of a new era—many of my friends and their families shrugged their shoulders. There was a definite sense of “Call me when something really changes,” you know? This idea that the visit, though obviously historic and perhaps a step in the right direction, was fluff until something actually improved. With Dangerous Ends, though the book is very much a crime novel, I wanted to give context to Pete’s life—and to show where he and his family literally came from, and what they had to give up and how that shaped them. Rotella: Pete Fernandez is a recovering alcoholic who goes to AA meetings. That is a smart and creative twist on the tradition of the hard-drinking private eye. Not only does he wrestle with these demons, but he’s strong and generous enough to help others fighting the same battle. This creates suspense and vulnerability. As I read about the humid Miami setting, I distinctly imagined the temptation of having a cold drink in the shadows of a bar. Can you talk about how and why you came up with this character trait and the role it plays in Pete’s personality and backstory? Segura: When I first started thinking about Pete, or, better said, the elements that would become Pete, I knew I wanted to write about someone younger and more inexperienced. A proto-PI as opposed to the dashing, established heroes you read about in a lot of early private eye fiction. One thing that bothered me about those books, as great as they are—and I love Chandler as much as the next guy—was how much they drank. It seemed like Marlowe was knocking back gimlets like water. I wanted to explore that a bit more, but not just by having Pete drink a ton and just be a mess. I wanted to show that next stage, the recovery process—and have it dovetail with some level of success. While he’s a drunk, he can stumble through things and survive, but there’s damage inflicted. He loses friends, he gets fired, he’s homeless—his life continues to spin out. But as he begins the process of putting the drink down, while things don’t calm down, per se, he does get a better grip on his work and get better at it. Pete’s not the first fictional PI to take this route—Lawrence Block’s Matt Scudder continues to be a huge inspiration—but he is part of a smaller minority that flips the trope of the hard-drinking private eye. Pete’s addiction and demons are central to the series. When we meet him, he’s weighed down by baggage and regrets, drinking to blackout regularly, and unable to stop. He’s just adding mistakes and bad behavior to the pile. By the time we get to Dangerous Ends, his recovery is in full swing, but he’s still dealing with the wreckage of his past, and that’s not an easy fix. It rolls over into the next book, Blackout, which just hit. That’s where, i think, we really get into the thick of it and explore the idea that just because you’re not actively drinking or drugging, you may not be recovering. There’s a difference between abstinence and honest recovery, basically. So he has to decide if he can clean up the mess he’d made of his life, first of all, and then move forward and actually live the rest of his life, appreciating the time he has been given. I want to hear the Sebastian origin story. You have a sterling, impressive journalistic career. What made you want to write fiction? Why crime fiction? And how did that desire become your series? Do you see a lot of yourself in your main characters? Rotella: I assume this is true of many authors: I wanted to write fiction ever since I can remember. Some people paint; some play the piano; my creative outlet was storytelling. I grew up in a house full of books and I read voraciously: classics, adventure, genre fiction. I read Chandler, Hammett, Forsyth, Eric Ambler, le Carré. I started writing short stories in second grade. I was interested in journalism too, I was the columnist for my high school newspaper. In college I studied creative writing with Jim Shepard, a young professor who went on to become a great writer. Not only did Jim teach me a lot, but he was cool, smart, funny and generous—and half Italian-American like me. A bona-fide role model. I considered the academic route, but journalism seemed more exciting and interesting. I had notions of becoming a foreign correspondent. And to tell the truth, I didn’t have a ton of experiences or insights that qualified me to write fiction at that age. Why crime fiction? I grew up on the South Side of Chicago, a violent place at a violent time. I was always interested in cops and criminals. As a reporter, I was drawn to underworlds: mafias, terrorism, intelligence, migration. People in law enforcement and intelligence became my guides, teachers and friends. My desire to write fiction never went away. I started writing at night and on weekends. Crime fiction has an appeal similar to journalism for me—the mix of ideas and the street. At its best, the genre works on the level of popular entertainment while it explains how the world really works. The thinking behind my choice of crime fiction can be summed up by the wisdom of Andrea Camilleri, the great Sicilian author, who once said to me in an interview: “Tell the story of your village. If you tell it well, you will have told the story of the world.” I knew the underworlds of the Mexican border. I had lived through remarkable events there, dramatic extremes of life and death. It was a fascinating, mysterious, alluring subject. I set my first book, Triple Crossing, at the border. The characters of Pescatore and Mendez grew out of that fertile turf. The second book, The Convert’s Song, continued Pescatore’s story in South America, Europe and the Middle East among terrorists, gangsters and spies. The international thriller genre lets me take the characters and the reader on a literal and metaphorical journey. Both Pescatore and Mendez are composites inspired by people I’ve known: friends, cops, journalists, human rights activists. But both characters have some of my traits. They come from backgrounds that are like mine or from places I know. Pescatore has some of the intensity and wariness I felt as a young man learning how to work in treacherous, challenging environments. Mendez is a veteran newsman close to my age, a man of letters rather than a gunslinger, so we resemble each other in that sense. The characters share my musical tastes too: Santana, Springsteen, jazz, Latin music. My fiction is not thinly disguised journalism, I work to create the characters and settings. But I also dig deep into stored-up professional experiences and knowledge and personal emotions and insights. The material gets sifted and sculpted into the fiction. Alex, I’m glad you mentioned Blackout. As I write these words, the latest Pete Fernandez book has hit the streets. Felicidades, maestro! You described the story earlier. I’ll use the occasion to ask about how Alex Segura works. Did you map out the plot first, or did you sit down with not much of a plan and see where the characters and inspiration took you? And what about the same question for the overall series? Where, how often and for how long do you write? Are you an early riser or do you patrol the frontiers of midnight? Tell us about your process if you would. Segura: Our stories are very similar, Sebastian—at least in regards to writing. I always wanted to write, but also felt that I wasn’t “ready” right away—so I veered toward journalism, where it was more about putting the pieces that already existed into a story. Not that one is easier than the other, as you know, but it was something I could wrap my head around. I learned a lot of great writing lessons that still inform me when I was a journalist – respecting deadlines, compact prose and keeping your language clear but also evocative. I could relate a lot to your story. As for my process…Well, I joke that I’d never wish it on anyone, but it works for me. As I look back and analyze the first four books, I can see that most of the best elements of my stories come from character first. Usually, I start with a vision or scene in my head—Pete in some kind of situation. Then I determine what that means and where I want the book, or his arc, to go. What’s the ending? With those two tentpoles in place, and a rough idea of what I want to write about – cults, the mafia, drug gangs, serial killers—I dive in. I set the stage and let the characters move around and bump into each other. Eventually, I start to realize that I need a tighter plan, to get my characters from where they are to where I think things should end up. Then I start to outline, but I keep it loose. I never want to over-plot so much that I prevent the spark of inspiration from pushing things along. I’ve had a lot of “Yes!” moments late in the first draft process—ideas that appear and are perfect, and can only really be actualized because my outline has enough breathing room. I hope that makes sense. I rely on revision a lot, because that, to me, is when the novel really takes shape. The first draft is about getting something on paper—a rough map. The subsequent drafts chip away at it and move stuff around until you’re happy with it. Then I share it with a small group of people I trust to give me honest, direct feedback – like my wife, or mother-in-law and a few friends. In terms of when and how much—I write at night. I have a demanding day job, as you do, and that takes up a lot of my working hours. When I get home, it’s family-first. I spend time with my wife and son and tend to whatever I need to in terms of the household. After he’s asleep, I can crack open my laptop and write. It doesn’t work like that every day. I don’t think writers have to write every day—I think that turns people off the endeavor. Writing is about immersion—in the process, in words. If you’re reading, thinking about writing, jotting down notes…you’re writing, or at least working toward the writing. That said, having a journalism background has helped me defrock the process a bit. It’s not ceremonial for me at all. Do I have 20 minutes? Ok, then I’ll cram and try to get some words down. Do I have a few hours (ha!)? Ok, let’s make the most of it. You know what I mean? When I was younger I’d have long stretches of time where I could sit and ponder things and write when I was in the mood. Not surprisingly, I wasn’t as productive back then. Now, with each minute a commodity I don’t want to lose, I try to maximize my time. 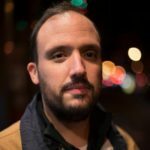 Alex Segura is a novelist and comic book writer. He is the author of the Pete Fernandez Miami Mystery novels, which include SILENT CITY, DOWN THE DARKEST STREET, DANGEROUS ENDS, and BLACKOUT, all via Polis Books. He lives in New York with his wife. He is a Miami native. Follow him at @AlexSegura.